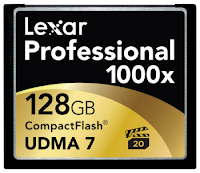 This February, Lexar has made available on the market, its new Professional 1000X compact flash (CF) card. Photographers and videographers alike will recognize the superior performance of this new card, with capture speeds of up to 20MB per second. 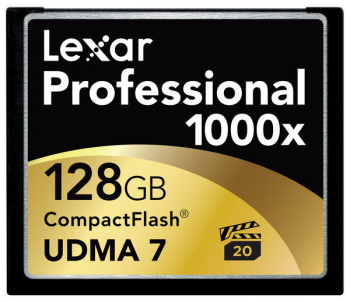 Lexar’s new CF Card also offers read speed of 150MB and a write speed of 145MB per second. This means that data files can be quickly transferred to the computer and videographers can spend less time transferring files and more time behind the camera. Videographer Alex Buono, acclaimed for his video production on Saturday Night Live, said, “Lexar has always understood the technologies to make the job faster and more efficient. The Professional 1000X CF card will help ensure that a memory card is never the bottleneck in the creative process. Along with its incredible read and write speed, the Professional 1000X CF also includes image rescue software to recover pictures from deleted or corrupted files. The Professional 1000X CF card is now available in 16GB ($142), 32GB ($263), 64GB ($440) and 128GB ($742). If you do not want to pay the hefty price tag, Ridata offers a fast, 600X, 16GB CF card for $56. The CF Lightning MLC offers a write speed of 65MB/s. 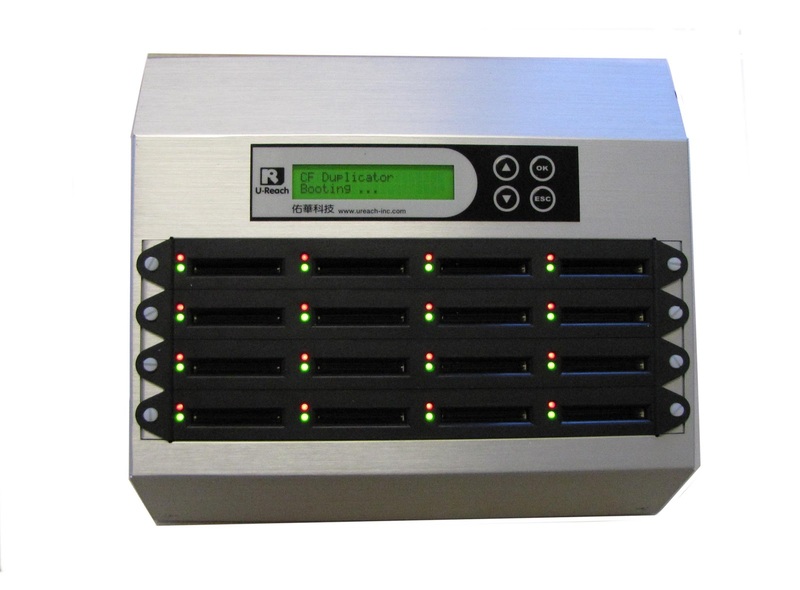 Moreover, U-Reach’s new Intelligent 9, fastest ever, CF duplicator supports copy speeds of up to 66MB/s.